Syed Abul Ala Mawdudi gave this lecture which has been translated from Urdu into English. Brothers in Islam! Undoubtedly you often ask yourselves: Why is it that the Prayer, good and beneficial as it is, seems to make no difference to our lives? Why does it neither im-prove our morals, nor transform us into a force dedicated to Allah? Why do we continue to live disgraced and subjugated? The usual answer will be that you are not offering the Prayer regularly or in the manner prescribed by Allah and the Messenger. Such an answer may not satisfy you. I shall therefore try to explain the matter in some detail. Look at the clock fixed to the wall: there are lots of small parts in it, joined to each other. When you wind it, all the parts start working and, as these parts move, the result appears on the clock face outside it that you observe. Both hands move to denote each second and each minute. The purpose of the clock is to indicate correct time. All those parts, which are necessary for this purpose, have been fitted together and the winding system has been made so that each of them moves as required. Only when all the parts have been assembled correctly and the clock wound up properly will it begin fulfilling the purpose for which it is made. If you do not wind it, it will not show the time. If you wind it but not according to the prescribed method, it will stop or, even if it works, it will not give the correct time. If you remove some of the parts and then wind it, nothing will happen. If you replace some of the parts with those of a sewing machine and then wind it, it will neither indicate the time nor sew the cloth. If you keep all the parts inside the case but disconnect them, then no part will move even after winding it up. The presence of all the parts will not serve the purpose for which the clock is made because you will have disrupted their arrangement as well as their connection. In all these situations, both the existence of the clock and the act of winding it become useless, although an observer from a distance cannot say that it is not a clock or that you are not winding it. He will surely consider that it is a clock and will expect it to be useful as a clock. Similarly, when from a distance he observes you winding it, he will take it as a genuine effort on your part to do the job, hoping to notice the result that comes from winding the clock. But how can this expectation be fulfilled when what looks like a clock from a distance has in reality lost its ‘existence’? Imagine Islam like this clock. Just as the purpose of the clock is to indicate the correct time, so the aim of Islam is that you should live in this world as the vicegerents of God, as witnesses of God unto mankind and as standard-bearers of truth. Tawheed, which can be loosley translated as Monotheism or specifically as Islamic Monotheism is the concrete base of the Building of Islam. It is the first article of Faith in Islam, and it is this message that Allah sent the chain of Prophets from Adam to Muhammad, peace and blessings be upon all of them. Today, associating partners with God has become a normal practise, a culture established by traditions. The very message that the Seal of the Prophethood, Muhammad ibn Abdullah was sent by God, seems to be lost in practise. A lot has been written on this after the era of Great Imams. For before that it was common sense, but now the common sense is Shirk- unfortunately. People are labeled with innovative or derogatory words to people who defend the first pillar of Islam- Tawheed. 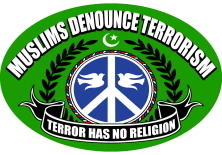 Unfortunately, these accusers and label stampers are Muslims themselves. Taqwiyat-ul-Iman (Strenghtening of the Faith) was written by one of the great scholars of Indian Subcontinent- Shah Ismail Shaheed. Shah Ismail was a grandson of Shah Waliullah Muhaddith Ad-Dehlavi. 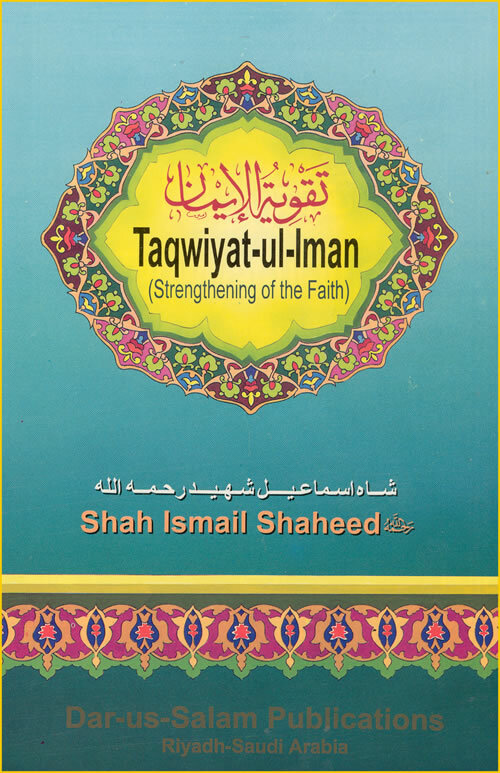 After Sheikh-ul-Islam Imam Ibn Taymiyya and Muhammad ibn Abdul Wahhab, Shah Ismail’s Taqwiyat-ul-Iman is a MUST READ for every Muslim Lay men and women. After I read this book, I came to find out some faults in my own belief. Shirk that are so common because of the custom and tradition and lack of knowledge, one never gives a second thought about one’s own believes and practices. Ignorance will not be an excuse in front of Allah, and understanding the basics of Islam is an obligation upon every Muslim- male or female, young or old. Tawheed is the base of the Shahadah– the first Pillar of Islam, and if that is lacking in a Muslim, then prayers and fasting, Zakah and Hajj is all useless. Moreover, how can anyone claim to believe in something about which one has no knowledge about! This is a very serious issue, that is largely ignored! In this book you will find evidences from the Holy Quran and Ahadith-e-Nabwi for every claim. Refusing to believe in Tawheed and by bogus labeling Shah Ismail Shaheed as a “Deobandi” “Wahabi” or “Salafi” is a grave injustice to Islam. Taqwiyat-ul-Iman can be read online here in English. It can be bought online in USA here and in Europe or Britain here. May Allah giver guidance to every one and show us Siratul Mustaqeen. Ameen.